My cats think they're giant wildcats. Cosmo and Phoebe wrestle like they're being filmed for an episode of Wild Kingdom, and their attitudes are nothing short of majestic. My seven-pound Phoebe walks with such swagger that I call her Simba. Seriously ... that cat's got some mega swagger. Little cats think they can do anything, and, with a little help from some friends, they've just kicked it up a notch. Getting their Wild Kingdom on. H-3 Essentials, the family-owned, high-quality pet supplement company recently launched its first line of freeze dried cat treats that are all-natural and grain/gluten free. I know that in itself is pretty cool, but it gets better. 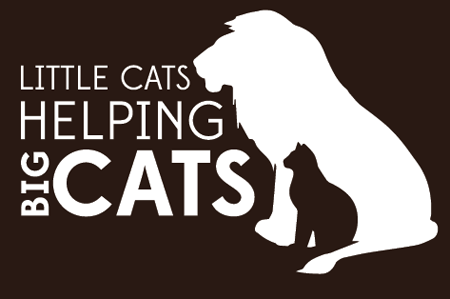 H-3 has partnered with Chris Poole of Cole & Marmalade™, IHeartCats.com, and Pure Formulas to kick off the "Little Cats Helping Big Cats" campaign. Here's where the "big cats" part comes in: Every purchase from the new line of cat treats benefits Big Cat Rescue, an accredited sanctuary for big cats in Tampa, FL that's home to over 80 lions, tigers, bobcats, cougars, and other big cats that have been abandoned, neglected or abused. Would you believe the story gets even better? Well, hang onto your hats because it does! The idea to help the big cats came from the 12-year-old son of Steve Watters, a pet industry veteran. During a recent family visit to Big Cat Rescue, his son asked what they could do to directly help the cats in the sanctuary. "We wanted to do something bigger than just make a donation. We wanted to help other cat lovers make a difference too," explained Watters. "People lead busy lives and it can be hard to set aside time to give back. By developing this new line of cat treats, we are making it easy for people to help these beautiful exotic cats." Boxes! 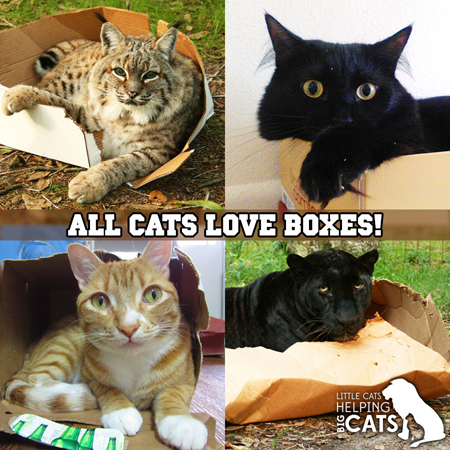 Big cats love 'em as much as Cole & Marmalade do! Cosmo, Phoebe, and I were eager to help spread the word and they, of course, wanted to test the treats before they put their stamp of approval on them. When the box arrived containing one bag of each flavor, the cats just about lost their minds. You'd think it was Christmas in July. Treats! Yay! Phoebe: "I assume these are all for me." Although they enjoyed all the varieties, they especially dug the rabbit. I love that they're freeze dried and grain free. Tasty, healthy, and helping Big Cat Rescue? Um, YES! Cosmo waits (sort of) patiently for rabbit treats. To explain more about the treats and the benefit to Big Cat Rescue, here's our friend Chris from the always entertaining Cole & Marmalade. So right about now you're probably thinking, "Where can I buy these treats? I want to help Big Cat Rescue!" I happen to have that information for you, friends. Each bag is $7.99 and is available through H-3 Essentials. Go ahead and order -- your little cat wants to help and (he's not gonna lie) also wants some tasty treats. 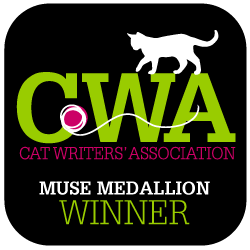 Disclosure: This is a paid review and H-3 Essentials provided free treats; however, Catladyland only shares information we think would be of interest to our readers. The opinions are our own.